The result from a caller who dials the wrong or incomplete number of God could be unanswered prayer due to his disobedience or constant breaking of the commandments of God (Zechariah 7:5-13). If we continue to harden our hearts to His words or find pleasure in breaking His commandments, this makes Him unhappy with us, and He is unlikely to answer us when we call Him. Making a prayer with the wrong motives or intentions is another way your prayer might become unanswered. The Bible says, "Ye ask, and receive not, because ye ask amiss, that ye may consume it upon your lusts." (James 4:3)Therefore, when we ask the Lord in prayer for a request, let us ensure it is done with good intentions so that we can receive it from Him. 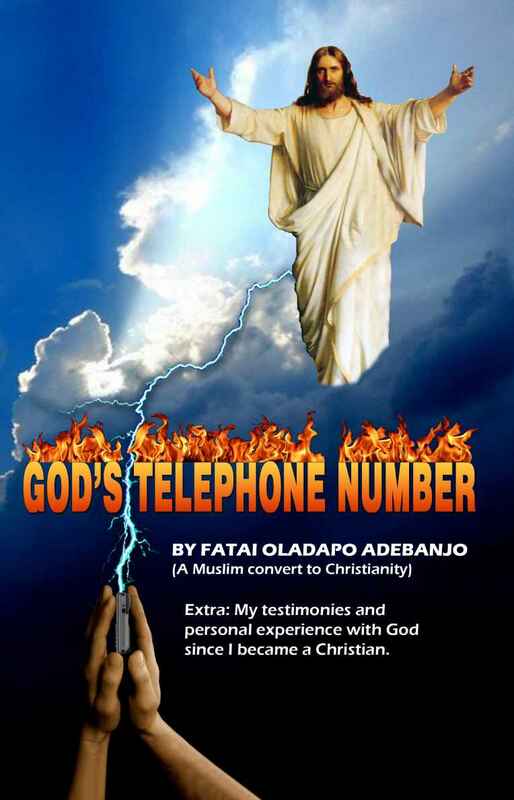 Also, if an incomplete or wrong number of God is dialed, the caller can't reach God except via His divine mercy. The Lord is also able to answer the prayers of a sinner who seeks forgiveness and true repentance. Actually, some sinners could even have their prayers answered instantly by God if they plead to Him for urgent help, however, this depends on the Almighty God, who does such things according to His abundant grace and mercy. He is a merciful God. THE GREATEST THING THAT HAPPENED TO YOU. Friends, I want to point out to you that the greatest thing to have happened to you is that you not only are a Christian, but you are fortunate to have God in your life. Without an exaggeration, you have a God who loves you so much and wants the best for you. The advantages of knowing God and being a Christian are unquantifiable. With God, we can face tomorrow. With God, we can do great things that other people might consider impossible by faith. The good news for you as a Christian is that if you can see God as your everything, you won't have to worry about the present or even what the future will bring. I am not sure if you know how lucky you are. You are serving the almighty God, the most powerful; the creator of the heavens and the earth and all that is in it. When you are able to realize the fullness of the value of the God you have, then you will take Him more seriously. There are different things people place value on. Mention to someone the total value of the entire material wealth on earth, however, it's worthless to even the least percentage of the riches from the Kingdom of God. When we deviate from the commandments of our creator, it reduces the full blessings we should receive from Him. God's Telephone number that we have is unknown to those who don't share our religious faith. "An unbeliever might not realize the importance of the commandments of God, but we who are fortunate to have it should be very grateful to our God. Whatever the Lord gives us as a commandment is meant to help us and to give us peace and rest." The God we serve is not evil. He knows how weak we are as humans and that the devil is moving around to cause an uproar among us. We should not take this lightly when the scripture says, "Therefore rejoice, ye heavens, and ye that dwell in them. Woe to the inhabiters of the earth and of the sea! for the devil is come down unto you, having great wrath, because he knoweth that he hath but a short time."(Rev. 12:12) The fallen angel knows that God loves us so much; He experienced the fullness of the glory of our God when He was in Heaven. He knew how powerful our God is and how we can constantly benefit from our God when we stay close to Him. That is why the devil is moving around the globe with his antics of deception, to make us fall into temptations that could rob us from more of God's blessings. That is why you should never underestimate the preaching of the Gospel. When God says "don't," He knows the bad consequences those things would bring upon us if we engage in the opposite behavior. His grace has been the major benefit we have been enjoying for long. If God has to take into considerations all of our sins, He might not even answer us when we call unto Him. As a Christian, you must continue to guard yourself with his words and always stay alert watching against the temptation that could break you from the cord of intimate relationship with God. This will bring you more peace and prosperity in life. In the Lord's Prayer as taught to us by the Lord Jesus, God was addressed as "Our Father, who art in Heaven." (Mathew 6: 9) Did you notice the power in that phrase? God is your Father who is in Heaven; He loves you more than your biological father, and that's no doubt. Henceforth, make haste to foster a mutual relationship with your heavenly Father. Are you still not sure how much your Heavenly Father loves you? Let me take you through some experiences I have had with our Heavenly Father since I became I Christian. Maybe some of these experiences might make you appreciate something more about Him.